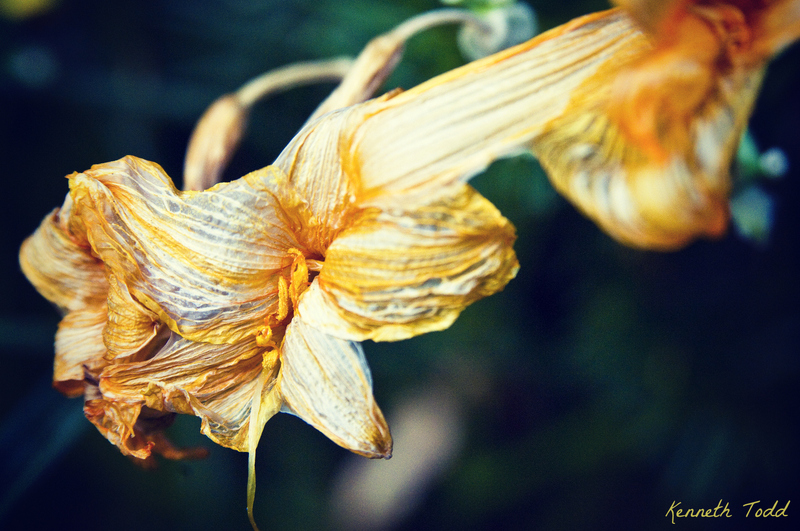 These Daylight Lilies are all over our garden and they wither away after a while. I really like the different shades and how there is still beauty in these even as they are dying. Lovely colors; looks almost transparent. I’ve Got a lot of them in various stages of life too. You did a great job capturing the beauty of that one!! I tried doing the same, but now I see the mistake I made was in having 4 flowers in the shot….focusing on only one tells the story better!! nice how the colors soften, and blend, and become something new, even as they are dying. (also love the quote, by the way). nicely done.